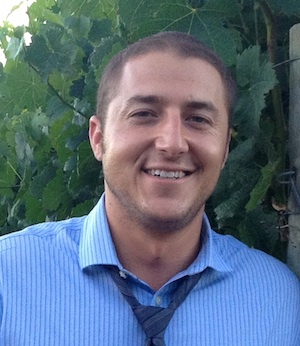 Warner/Chappell Production Music has tapped David Epstein as Director of Licensing for Warner/Chappell Production Music’s trailer music division, Non-Stop Trailers. David will be responsible for developing Non-Stop Trailers’ Film Trailer business in North America. Epstein was most recently Sales & Marketing Executive for Sony/ATV’s production music arm Extreme Music, where he focused on the Trailers & Film/TV Departments. His prior experience includes Sales & Marketing roles with Interscope Records & NBC Universal. Pictured (L-R): SGM’s Ashley Hamlin, Ryan Laird, SGM President Mike Mouret, and SGM’s Danielle Thorn. 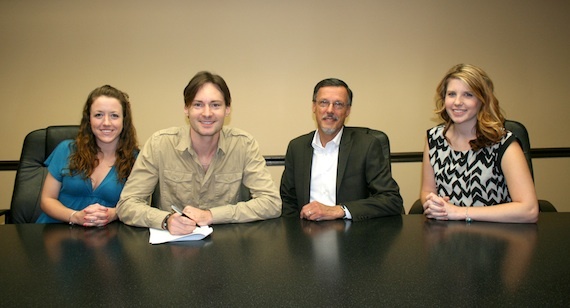 Brentwood, Tenn.-based Studio Gold Music has signed singer-songwriter Ryan Laird to a publishing and artist development contract. Studio Gold Music currently represents Mary Francis, Derrick Hampton, and Paul Cunningham. A native of Fergus, Ontario, Canada, Laird earned a Canadian Country Music Award in 2012 for his Top Ten hit, “I’m Your Man.” That same year, he was nominated for a CCMA Rising Star Award. Now living in Nashville, Laird is co-writing and working on his upcoming release. He is also the founding partner/artist for the Bigger Than That Foundation, a musical concert initiative which promotes anti-bullying. Studio Gold offers traditional music publishing, single-song publishing, artist development, and related promotional activities. 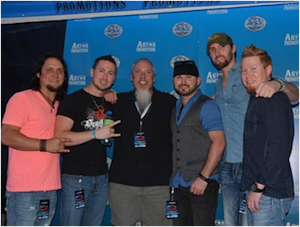 Pictured (L-R): Jason Paxton, Casey Joe Kelly, Sirius XM’s senior director of country programming John Marks, Waylon Owings, Josh Coleman and Smiley Norris. South Carolina Country band Outshyne recently earned their first No. 1 song on SiriusXM’s The Highway, as “Moonlight Crush” topped The Highway’s “Hot 45 Countdown.” The single has sold more than 5,000 downloads per week at iTunes, totaling more than 78,000 downloads to date.